You can go to the dealership and pay a considerable sum for a duplicate key. 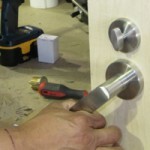 You can contact FC Locksmith and duplicate your key at an affordable price. 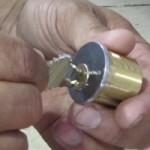 FC Locksmith is highly trained in automotive key duplication. Our experts specialize in duplication keys for nearly every make or model car, both new and old. Our costs are far more competitive than the dealerships, and we can create these keys quickly, helping you receive your duplicates within just a short time. When you have lost or misplaced a spare key. When you need to give your keys to a family member or acquaintance. When you simply want another spare key made. Your key is the one thing you need to run your car, and having an additional car key available goes a long way toward helping you stay on the road. The next time you need your automotive keys duplicated, call FC Locksmith first.